Early September is a great time to stock up on locally grown produce. With ripe tomatoes and early season apples available in abundance, it’s tempting to keep the bounty on display around your kitchen. But another species is also at peak season right now, the common fruit fly, and they’re heading right for that bowl of apples. Here’s how to get rid of fruit flies when they invade your kitchen. “That bowl of apples might look good sitting on the counter this time of year, but if they get a little soft or get a bruise on them, it doesn’t take much [to attract fruit flies],” Jim Dill, a pest management specialist at the University of Maine Cooperative Extension, said. Fruit flies, also known as vinegar flies, are attracted to overripe fruits as well as yeast and cider-laden products, Dill said. At this time of year, when an abundance of fruits are in season locally, Dill said the population of fruit flies in the environment spikes. The flies make it into homes via the overripe fruit itself or simply through a door or window being open. While it’s “almost impossible” to prevent fruit flies from getting into your home, according to Dill, you can stop the flies from taking over your kitchen space by keeping all produce either in the refrigerator or covered on table or counter space. Your trash should also be covered, if you’re disposing of fruit or other food products fruit flies might feast upon. Once inside, the only way to get rid of fruit flies is to “trap them out,” Dill said, by keeping items they are attracted to out of their reach and utilizing simple homemade solutions to capture the flies themselves. While store bought fruit fly traps are available, Dill said using apple cider vinegar is as good of a method as anything for luring fruit flies into a homemade trap. A simple fruit fly trap can be made using a small plastic bottle. To make the trap, cut off the top of the bottle at the shoulder, add a few capfuls of apple cider vinegar into the bottom of the bottle and then invert the piece that you cut off back on the top of the bottle, making a small funnel of sorts. The apple cider vinegar entices the fruit flies into the bottle through the narrow inverted opening, but most are not able to make their way back out, Dill said. Once in the trap, to kill the flies, Dill said to cover the top and either shake the vinegar around effectively drowning the flies, or to place the trap in the freezer for an hour or so. Fruit flies can also breed in sink drains, and to get rid of fruit flies there is a bit more difficult. 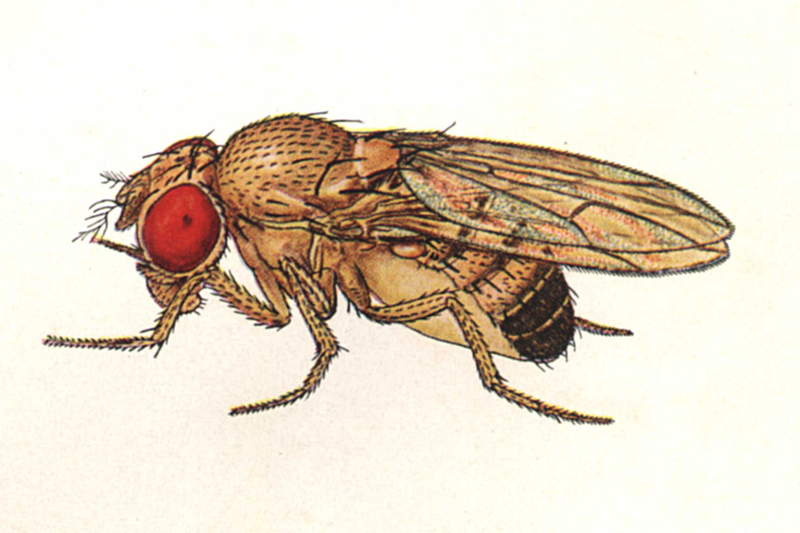 To decrease the population of fruit flies in a sink drain, Dill suggests using some type of a drain cleaner to eradicate some of the build-up that is attracting the flies to the drain. If you need to know how to get rid of fruit flies, try employing these tactics and traps and you should notice the population of fruit flies in your kitchen decreasing.